Kit Dodson completed his PhD in 1969 and was then appointed to a Lectureship in Mathematics at the University of Lancaster, UK, becoming Head of Department 1984-89. He took up a Senior Research Chair at the University of Toronto, Canada, 1989-96. Moving to the University of Manchester, UK, in 1996, as Professor, he subsequently became Emeritus Professor of Mathematics. Dr. Robert Y. George is “Professor Emeritus” at the University of North Carolina at Wilmington where he taught oceanography from 1973 to 2003.Dr. George is presently President and CEO of George Institute for Biodiversity and Sustainabilty (WWW.GIBSconservation.org) . Dr. George is also visiting professor at Kritineberg Marine Biological Station in Sweden. Dr. George led five research expeditions to Antarrctica under the funding of US National Science Foundation. McKenna-Lawlor was the principal investigator for an experiment on the European Space Agency (ESA) Giotto mission. In 1986 she founded the space instrumentation company Space Technology Ireland Ltd (STIL) with venture capitalist Dermot Desmond. STIL manufactures instruments for space missions and McKenna-Lawlor is the managing director. McKenna-Lawlor led an international team of scientists in building a particle detector capable of detecting energies between 30 kiloelectronvolts and several megaelectronvolts for the Soviet Union's Phobos spacecraft in 1988. The success of the detector led Soviet scientists to ask her to contribute a similar device for their 1994 Mars mission. She developed instruments to monitor the solar wind on Mars for the ESA Mars Express mission. Grant J. Mathews has completed Ph. D. in 1977 from University of Maryland. Grant J. Mathews is professor of Physics at University of Notre Dame, USA. Prof. Mathews’ research interests involve the origin and evolution of matter in the universe from the first instants of cosmic expansion in the big bang to the present complex interactions of stars and gas in galaxies. Prof. Mathews’ research interests involve the origin and evolution of matter in the universe from the first instants of cosmic expansion in the big bang to the present complex interactions of stars and gas in galaxies. Q. Peng is mainly engaged in nuclear astrophysics , particle astrophysics and galactic astronomy research. In the field of nuclear astrophysics, Peng’s researches involve neutron stars (pulsars), the supernova explosion mechanism and the thermonuclear reaction inside the star, the synthesis of heavy elements and interstellar radioactive element such as the origin of celestial 26Al. 225 papers of him have be published. Nuclear astrophysics , Particle astrophysics and Galactic astronomy research. Lukasz Andrzej Glinka, 1984-, got B.Sc. degree in physics from the Peoples’ Friendship University of Russia. He has a notable background of academic activity, as author and co-author to multiple articles and papers, as writer of monographs, as editor-in-chief, editorial board member, and peer reviewer to journals, and as organizing committee member to conferences. M.A.K. Lodhi has completed Ph. D. in Physics from University of London in 1963. Arfin Lodhi is Professor of Physics at Texas Tech University, USA. Recently, Professor M.A.K. Lodhi retired after having served the TTU Department of Physics for 50 years. Lodhi’s research Interests include nuclear theory and structure; new and renewable sources of energy; advanced space power generation and management. nuclear theory and structure; new and renewable sources of energy; advanced space power generation and management. After receiving PhD in Physics from Columbia University in New York city, Tsuruta has been working in Harvard University, NASA Goddard Space Flight Center, Max-Planck-Institute in Munich Germany, etc., before she settled down as a tenured physics professor at Montana State University, Bozeman (MSU), Montana, USA until May 2016. After Tsuruta retired from that tenured position, she has been continuing active at Montana State University as both emeritus professor and research professor, and also as affiliate professor at IPMU (Institute of Physics and Mathematics of Universe) in Tokyo University. She also served the following institutions as a visiting professor some time over the years: University of Cambridge UK, and ISAS (Space Institute in Japan), Tokyo University, Kyoto University, etc., in Japan. Tsuruta’s research activity covers broad fields of astrophysics, ranging from compact stars such as neutron stars and stellar mass black holes, supermassive black holes in active galactic nuclei, physics of black hole magnetospheres, gamma ray bursts, first stars and first black holes, and gravitational waves. Tsuruta received various honors and awards, including Marcel Grossmann Award in 2015 for her contribution to these broad fields in astrophysics, but especially for prediction of neutron star temperatures before her prediction of observability of neutron stars was validated by later observations. Tsuruta’s research activity covers broad fields of astrophysics, ranging from compact stars such as neutron stars and stellar mass black holes, supermassive black holes in active galactic nuclei, physics of black hole magnetospheres, gamma ray bursts, first stars and first black holes, and gravitational waves. Nikolaos K. Spyrou is Professor of Astronomy at the Aristoteleion University of Thessaloniki, Greece, retired since 2011. He has taught extensively at both the under graduate and post graduated levels, conducted research work and lectured in many universities and research centers in Greece and abroad, and, also, served in many national and international administrational-scientific posts. His books and research articles belong to General Relativity Theory, Fluids, Gravitational Astrophysics, Environnemental Physis (and, secondarily, Space Physics, History of Astronomy, and Science Education), and, recently, Relativistic Cosmology combined with Thermodynamics for the polytropic Universe and its radical consequences and predictions. Nuclear astrophysics, particle astrophysics and galactic astronomy research. Professor Salah Arafa is a tenured faculty member at the Physics Department, School of Sciences and Engineering of the American University in Cairo (AUC). He joined AUC in 1968. Before joining the University, he worked as a physics researcher at the Egyptian Atomic Energy Authority from 1962 till 1968. Dr. Arafa holds a BSc in Physics and Chemistry (1962), an MSc in Nuclear Physics (1966), and a PhD in Solid State Physics (1969); all from Cairo University. He was the Chair of the Science Department twice and served as senator at large in the University Senate. Professor Arafa is well known as one of the leading Social Entrepreneurs in Egypt and the Arab World. He was selected a Senior Ashoka Fellow in 2004 and was awarded as the 'Man of the Year' for Environment and Development in 2009. In 2015 he was selected a fellow professor of Renewable Energy and Sustainable Development by the Stromstad Academy, Sweden. In 2016 Dr. Arafa was selected as the representative of North Africa for the African Child Forum. Since 1974, Arafa has been involved in many Civil Society activities and is today the chairman for a few of the leading NGOs in Egypt. He has also served as a consultant to many international organizations, including: US-AID, UNICEF, GTZ, EU, and UNDP. He is a member of the National Committee on Climate Change and is also a member of the Research Council on Environment and Development at the Egyptian Academy for Scientific Research and Technology. Ajay Kumar Mishra is a full Professor at the Nanotechnology and Water Sustainability Research Unit at College of Science, Engineering & Technology, University of South Africa, Florida Science Campus, South Africa and also a “Fellow” member at “Royal Society of Chemistry” UK. He received his B. Sc, M. Sc., degrees in 1997 and 2001 respectively from Purvanchal University Jaunpur, India and M. Phil. and Ph.D. degrees in 2003 and 2007, respectively, from The University of Delhi, India. From March 2006 to September 2009, he was postdoctoral fellows at various South African Institutes/Universities. In addition, he was appointed as “Senior Lecturer” in October 2009 at the Department of Applied Chemistry, University of Johannesburg, South Africa where he was promoted to “Associate Professor” in November 2011 until December 2014. Recently, he was appointed by University of South Africa as “Full Professor” since January 2015. He is also working as “Adjunct Professor” at Jiangsu University, China. His research interests include synthesis of multifunctional nano-materials, nano-composites, biopolymer and/or petrochemical based biodegradable polymers, polymers based materials/composites, smart materials, CNT and graphene based composite materials and water research. Eliade Stefanescu graduated the Faculty of Electronics, Section of Physicist Engineers, in 1970, and obtained a PhD in Theoretical Physics in 1990. As a Scientist from 1976, a Senior Scientist III from 1978, he worked in technology of semiconductor devices. From 1978, he worked in physics of optoelectronic devices. From 1987, and from 1990 as a Senior Scientist II, he worked in the field of open quantum physics. In 1991 he discovered that the penetrability of a potential barrier can be increased by coupling to a dissipative system, and described the decay spectrum of some cold fission modes. As a Senior Scientist I, from 1997 he developed a microscopic theory of open quantum systems, and discovered a physical principle for the heat conversion into usable energy. In 2014, he produced a unitary relativistic quantum theory. In the years 1995-2000, he held a course called Dissipative Systems for the master degree. Professor Coppi was named full Professor at MIT in 1968 after carrying out research in theoretical plasma physics, fusion, and space physics at Princeton University, Stanford University, UC-San Diego and the Institute for Advanced Studies, Princeton University.Professor Coppi has been a member of the American Academy for Arts and Sciences since 1976. He received both the Maxwell Prize and the Award for Excellence in Plasma Physics of the American Physical Society. He also received the Prize for Science of the Italian Government and the International Italgas Prize for Science and Technology. Coppi was formerly Chairman and a founder of the Plasma Astrophysics Subdivision of the American Physical Society. He has been a director of three of the International Conferences on Plasma Astrophysics (including the E. Fermi School at Varenna) and of the original Varenna International Courses on Plasmas Close to Thermonuclear Conditions. He served on, and was chairman of, the American Physical Society Committee on the International Freedom of Scientists. Prof. Vasily Yu. Belashov, PhD (Radiophysics), DSci (Physics and Mathematics). Main fields: theory and numerical simulation of the dynamics of multidimensional nonlinear waves, solitons and vortex structures in plasmas and other dispersive media. Presently, he is Chief Scientist and Professor at the Kazan Federal University. He was Coordinator of studies on the International Program “Solar Terminator” (1987-1992), and took part in the International Programs WITS/WAGS and STEP. He is author of 320 publications including 7 monographs. Main books: Solitary Waves in Dispersive Complex Media. Theory, Simulation, Applications. Springer-Verlag GmbH, 2005; Solitons: Theory, Simulation, Applications. Kazan, Kazan Federal University, 2016. During graduate work at Arecibo, Richard Lovelace discovered the period and location of the Crab Nebula pulsar Discovery of the Period of the Crab Nebula Pulsar. After appointments as research associate at the U.S. Naval Research Laboratory and the Laboratory of Plasma Studies at Cornell, he came to Cornell as assistant professor in the Department of Applied Physics in 1972. From 1973 to 1974, he was a visiting scientist at the Princeton University Plasma Physics Laboratory. In 1975, he invented the Dynamo Model for the magnetic origin of astrophysical jets on July 10, 1975 in Urbino, Italy (Invention of Dynamo Model; transparencies of Urbino talk).In 1984, Lovelace was appointed Professor at Cornell. In 1990, he was elected a Guggenheim Fellow and named a Visiting Professor in the Department of Physics at the University of Texas at Austin. In 1994, he was elected an Overseas Fellow at Churchill College and named Visiting Scientist at the Institute of Astronomy, Cambridge England. From 1997 to 2000 he was Divisional Associate Editor for Physical Review Letters for Plasma Physics. In 1999 he was Orsan Anderson Visiting Scholar at Los Alamos National Laboratory. In 2002 he became a Fellow of American Physical Society. He has been Associate Editor Physics of Plasmas since 2003. Aaron M. Covington is currently working as a interim director for Nevada Terawatt Facility at University of Nevada, USA. He Has done his Ph.D in Physics at University of Nevada, Reno from the year 1998. His reaserch Interests include experimental studies of plasmas and photon-interactions with atoms, molecules, ions and solids. These studies encompass fundamental properties of atomic and molecular collisions relevant to terrestrial, astrophysical and high energy density plasmas as well as structural properties of atomic and molecular ions and materials. Endre Takacs is an atomic physicist with expertise in the spectroscopy of highly charged ions and their interactions with neutral atoms, and surfaces. Few electron ions are generated in electron beam ion traps (EBIT) and electron cyclotron resonance ion sources (ECRIS) and analyzed by x-ray, EUV, and optical spectroscopic methods. John Foster is awarded PhD in applied physics from University Of Michigan in the Year 1996.Currently, he is working as an professor in Nuclear Engineering and Radiological Sciences in University of Michigan from 2006. Previously he is a senior researh engineer in NASA Glenn research center. John Foster has been awarded as a NTA physicist for the year 2003 followed by NASA LERCIP Mentor of the Year (2004). He has been a member of American Physical Society, IEEE, NSBP and NRC Plasma Committee. Prof. Umstadter was a co-founder of two National-Science-Foundation-funded centers of excellence: (1) the Center for Ultrafast Optical Science (CUOS), a Science and Technology Center, and (2) Frontiers in Coherent and Ultrafast Optical Science (FOCUS), a Frontiers of Physics Center. He has also been awarded single-investigator grants to do research in the area of fundamental physics from both the National Science Foundation and the Department of Energy. Umstaderwith his research team are pioneering a new research field involving the nonlinear optics of ultra-high intensity lasers interacting with plasmas, with applications in advanced radiation sources and particle accelerators. Prof. Umstadter is also an author on 9 invited review or tutorial papers, 25 invited papers total, and 74 invited presentations, including a plenary review paper on high-field science at the Annual Meeting of the American Physical Society Division of Plasma Physics, and at a Global Science Forum on Compact Short-Pulse High-Intensity Lasers, organized by the Organization for Economic and Cooperative Development (OECD).He was also invited to write an article, Laser-driven X-ray Sources, for the McGraw Hill 2003 Yearbook in Science and Technology. Prof. Umstadter co-authored five U.S. patent applications, four of which have been issued, and one is under review. Atomic, Molecular & Optical Physics. Clas Persson has graduated in materials science at Linköping University in 1999. Postdoctor at National Renewable Energy Laboratory, USA, thereafter assistant professor 2004 at KTH Royal Institute of Technology, Stockholm. Since 2011, professor at Department of Physics, University of Oslo in Norway and at the same time, since 2007, associate professor at KTH. His research involves first-principles atomistic modeling of semiconductors for optoelectronics and clean energy technologies, but also code development for analyzing fundamental material properties. He has over 200 publications as collaborative works together with more than 250 researchers at 90 research groups world-wide, and he has supervised twenty postdoctors and research students. Jan Petter Hansen is currently working as Head of Department of Space, Earth and Environment in Chalmers University of Technology which is a Swedish university located in Gothenburg that focuses on research and education in technology. He has a background in theoretical atomic and computational physics as a professor from University of Bergen, Norway. His research interests mainly focus on Atomic and optical physics. His research interests as a Research Scholar reflect in his wide range of publications in various national and international journals. Antonio D'Angola has received the Master Degree in Nuclear Engineering in 1996 and the Ph.D. in Energetics in 2000 both at Politecnico di Torino, Italy. Since February 2004 he is Assistant Professor at the University of Basilicata (from July 2008 in Nuclear Reactor Physics). In 2000 he has been Visiting Researcher at the Plasma Technology Research Centre (CRTP) of Sherbrooke, Quebec. 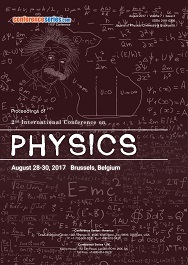 The scientific activity and areas of interest are: numerical methods for the simulation of plasmas by using Particle-InCell and Monte Carlo codes, the calculation of thermodynamic and transport properties of ionized plasmas for industrial and aerospace applications, the investigations of non-neutral plasmas for ultra-high vacuum systems and the laser-plasma interaction for medical applications. He is Associate Researcher of the Institute of Inorganic Methodologies and Plasmas (IMIP), CNR, Bari, Italy and Associate Editor of the journal Frontiers in Plasma Physics. He published more than 60 international journal articles and refereed proceedings. He is reviewer for several international scientific journals. Azlan Abdul Azizdid his MSc degree in Microelectronics Material and Device Technology in 1994 and PhD degree in GaAs-based and InP-based high electron mobility transistor (HEMT) grown by MBE in 1999 at University of Manchester Institute of Science and Technology, U.K. He is now a Professor in Nanomaterials and Nanostructures at School of Physics, Universiti Sains Malaysia (USM). Since 1992, he has been actively engaged in the research field of solid-state physics and materials science; in particular, amorphous and nanostructure materials designed for sensors application. He is currently one of the lead researchers at Makmal Nano (NanoLAB) and as one of the principle researchers of Nano Biotechnology Research and Innovation (NanoBRI@INFORMM) team at Institute for Research in Molecular Medicine (INFORMM) in USM. Dr. Martineau received an MSEE and a PhD in physics (relativity). After teaching physics and working a number of years in the defense industry developing HgCdTe infrared detectors for missile defense programs, he joined NASA Goddard Space Flight Center. There he set up manufacturing facilities and designed, built, qualified, and delivered HgCdTe focal plane arrays for the CIRS/Cassini mission. He served as the GSFC HgCdTe detector expert on a variety of programs like GOES, MODUS, NGST, CIRS, and JWST. He retired in 2006 and returned to his first love, doing research in theoretical physics. This paper presents some of his findings from these efforts. Theory and numerical simulation of dynamics of multi-dimensional wave structures of soliton and vortex types in continuous complex media. X. D. Li (born in 1951 in China), Ph.D. from Université de Montréal (1993); M.S. from Nankai University (1981), B.S. from Tianjin University (1977). He is a professor in NUDT reseaching and teaching in the fields of polymer chemistry, material chemistry and physics, crystal and structure chemistry and physics. Qiuhe Peng is mainly engaged in Nuclear Astrophysics, Particle Astrophysics and Galactic Astronomy research. In the field of Nuclear Astrophysics, his research project involved a neutron star (pulsar), the supernova explosion mechanism and the thermonuclear reaction inside the star, the synthesis of heavy elements and interstellar radioactive element such as the origin of celestial 26Al. In addition, through his lectures, he establishes Nuclear Astrophysics research in China. He was invited by Peking University, by Tsinghua University (both in Beijing and in Taiwan) and by Nuclear Physics institutes in Beijing, Shanghai, Lanzhou to give lectures on Nuclear Astrophysics for many times. He has participated in the international academic conferences over 40 times and he visited more than 20 countries. In 1994, he visited eight institutes in USA to give lectures. He is the first Chinese Astrophysicist to visit NASA and to give a lecture on the topic, “Nuclear Synthesis of Interstellar 26Al”. In 2005, he visited USA twice and gave lectures in eight universities again. Inviting six Astronomers of USA to give series lectures, he has hosted four consecutive terms summer school on gravitational wave astronomy. After the four-summer school obvious effect, at least 20 young scholars in China in the field of gravitational wave astronomy specialized in learning and research. 220 research papers by him have been published. Heng Xiao obtained his PhD in 1990 at Shanghai University, China. From 1995 to 2000, he was Associate Professor at College of Mathematical Sciences, Peking University, China. At Institute of Mechanics, Ruhr-University Bochum, Germany, he successively held the following positions: Alexander von Humboldt fellow from 1995 to 1997, Scientific Assistant from 1998 to 2001 and Chief Engineer & Professor from 2002 to 2011. From 2011 to 2017, he was Professor at College of Science, Shanghai University, China. From 2017, he is Professor at College of Mechanics and Construction Engineering, Jinan University, Guangzhou, China. Sunil Kumar Maurya has completed his PhD from Indian Institute of Technology Roorkee (IIT Roorkee). He is the Assistant Professor and Head at University of Nizwa, Oman. He has published more than 42 research papers in very reputed journals with high impact journal and has been serving as an Editorial Board Member of repute. Born in Italy, Florence 20/02/1943. Master in Physics (Florence University) 3/12/1965. Ph.D. in Nuclear Physics (Padua University) 24/3/1969.From 1/11/1966 Assistant and subsequently Associate Professor in Nuclear Physics at Padua University till 30/10/1987. Full Professor in Experimental Physics: at Salerno University since 31/10/1987, at Padua University after 1/11/1990, than (since 1/11/2000) Full Professor in Nuclear Physics till retirement in 30/09/2013. Presently Scholar of Padua University after retirement from active teaching due to age. As INFN (Italian National Institute of Nuclear Physics) Research Associate: Vice-responsible of the INFN – LNL Tandem Van de Graaff accelerator project (1978-1982). LNL (Legnaro National Laboratories) Director (20/9/1982-31/10/1986). And always active in Nuclear Physics fundamental researches The European Physical Journal A, Editor 1992 - 2012. Referee of the main Nuclear Physics scientific journals: Physical Review C, Physical Reviews Letters, Nuclear Physics A, Physics Letters B, Pramana Journal of Physics. 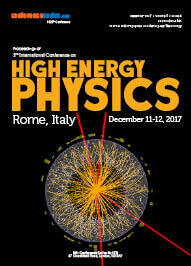 Research activity in Nuclear Physics in Italy and abroad also for long periods: Heidelberg, Munich (D), Utrecht (NL), Tsukuba and Tokyo INS/CNS (University of Tokyo) RIKEN (Japan), Louvain la Neuve (B), ANL (USA). Main research activity in nuclear structure (Spectroscopy) and nuclear reaction dynamics (Fusion at the Coulomb Barrier). He is presently involved in Nuclear Physics with Radioactive Ion Beams. Chairman of relevant Nuclear Physics conferences: RNB (Radioactive Nuclear Beam, I-Cortina d’Ampezzo, 2007), INPC 2013 (International Nuclear Physics Conference, I-Florence 2013). He is the Professor, Department of Physics and Astronomy, Northwestern University. He completed his B.Sc. (1951) in University of Lucknow and Ph. D(Nuclear Physics, 1957) in University of Pittsburgh. He published 514 publications (1957—2016) in journals and conference proceedings. Experimental Nuclear and Particle Physics with leptons and hadrons. Maxim Yu. Khlopov is a Director of Centre for Cosmoparticle physics “Cosmion”(1992-present) and he is also the director of Virtual Institute of Astroparticle physics, Paris, France(since 2007). Carl Hagen is Research associate at University of Rochester, 1963. Subsequently became faculty member and now professor in Physics and Astronomy Department there. He Received bachelor, master, and Ph.D from MIT. He is one of six theorists responsible for the broken symmetry development of gauge theories (i.e., the so-called god particle). Piergiacomo Cancelliere got is master degree in Electrical Engineering on April 1998 at the University of Cassino, Italy. He took his PhD in Conversion of Electrical Engineering from the Second University of Naples in 2007. He started his career as an electrical engineer working for some relevant electrical enterprises, such as ABB. From June 2001 to April 2006 he was with the Electrical Machines and Drives Research Group of the University of Cassino. In May 2006 he joined the Italian National Fire Rescue and Service. He is currently a Senior Fire Officer. His technical and scientific topics cover both active and passive fire protection measures, fire assessment of electrical installations and components and ATEX related aspects. He is also a member of several TCs of the Italian Electrotechnical Committee and of the Italian technical standardisation organisation. He has authored more than 50 papers on international, national journals and conference proceedings. His technical and scientific topics cover both active and passive fire protection measures, fire assessment of electrical installations and components and ATEX related aspects. Dr. Yuri Kamyshkov is a professor in the department of physics and astronomy. He is also a member of the American Physics Society.Professor Kamyshkov graduated in 1970 from Moscow Institute of Physics and Technology (MPTI), Department of General and Applied Physics. He received his Ph.D. in 1978 in Physics and Mathematics (Nuclear and Particle Physics) from the Institute of Theoretical and Experimental Physics (ITEP) in Moscow Prior to joining UT, Dr. Kamyshkov was an employee of the Institute for Theoretical and Experimental Physics of the Ministry of Atomic Energy and Industry for twenty-two years in Moscow, Russia where his latest position was leading senior scientist. • Measurement of CP violation phase and neutrino mass hierarchy in the long-baseline neutrino experiments. • New Light-Dark-Matter detection experiments. Dr. Spyridon Margetis received his PhD degree in 1990 from Univ. of Frankfurt, Germany and he was a postdoc and staff member at Lawrence Berkeley Lab and Brookhaven National Lab. He is now a Professor in the physics dept. of Kent State University.My research involves collisions of heavy nuclei at ultra-relativistic energies, as they offer unique opportunities to study the behavior of nuclear matter under extreme conditions of temperature (about a trillion degrees) and density. Since 1992 he has been working at the Relativistic Heavy Ion Collider (RHIC), in Long Island, New York. and the RHIC experiment STAR. His physics interests are in the area of `strangeness' and 'heavy flavor', i.e. the production rates and behavior of 'strange', 'charm' and 'beauty' quarks inside hot nuclear matter. 1.Experimental Nuclear Physics. 2.Ultra Relativistic Heavy Ion Interactions at accelerators like CERN-SPS, BNL-RHIC and CERN-LHC. I received my Phd. from Imperial College London in 1985 in hard x-ray astronomy. After a short period in the nuclear industry I went on to post-doctoral research at the Rutherford Appleton Laboratory before receiving a PPARC advanced Fellowship to study dark matter at Oxford University in 1992. Transferring to the University of Sheffield in 1994 to build a new group in Dark Matter research I became Reader in 1996 and received a further Senior Fellowship. I established the well known international conference series Identification of Dark Matter (IDM) in 1996 and the UK’s Boulby Underground laboratory, becoming PI for construction of the Palmer laboratory. I was head of the UK Dark Matter programme (UKDMC) until 2004. In 2000 I was awarded a professorial Chair and became head of Particle Physics and Particle Astrophysics at Sheffield. The group has since quadrupled since to around 75 people. I maintain a strong research interest in dark matter and underground physics emphasising experimental techniques to seek galactic signals through directional detection, rather than through conventional counting techniques. Along with US colleagues I pioneered the first significant gas-based time projection technology for this, building the world’s leading experiment DRIFT at Boulby. Since 2005 my research has also diversified into neutrino physics, building the UK’s first liquid argon detector laboratory. I helped found the European LAGUNA programme to build a massive underground neutrino experiment, now merged into the global Deep Underground Neutrino Experiment (DUNE) for which I have been developing technology to build the massive 10 kton central liquid argon detector. Itzhak Bars is a Professor of Physics at the University of Southern California, Los Angeles. He received his Ph.D. from Yale University in 1971 and after postdoctoral research at the University of California at Berkeley, he joined the faculty of Stanford University in 1973. He returned to Yale University in 1975 as a faculty member in the Physics Department, and after a decade, he moved to the University of Southern California in 1984 to build a research group in High Energy Physics. He served as the director of the Caltech-USC Center for Theoretical Physics during 1999-2003. His visiting appointments include Harvard University, the Institute for Advanced Study in Princeton, CERN and The Perimeter Institute for Theoretical Physics where he is currently a Distinguished Visiting Research Chair. Professor Bars is a leading expert in symmetries in Physics, which he applies in much of his research on particle physics, field theory, string theory and mathematical physics in over 240 scientific papers. He is the author of a book on "Quantum Mechanics", a co-author of a book on "Extra Dimensions in Space and Time", and co-editor of the books "Strings '95", "Future Perspectives in String Theory", "Symmetry in Particle Physics". Some of his experimentally successful physics predictions include supersymmetry in large nuclei with even/odd numbers of nucleons, and the weak interaction contribution to the anomalous magnetic moment of the muon, in the context of the quantized Standard Model, that was confirmed after 30 years. His contributions to the mathematics of supersymmetry are extensively used in several branches of physics and mathematics. Bars's honors include Fellow of the American Physical Society, the First Award in the Gravity Research Foundation essay contest (shared with Chris Pope), Outstanding Junior Investigator Award by the Department of Energy, and the A. P. Sloan Foundation Fellowship. His current interests include String Field Theory; Two-Time Physics, which he originated in 1998; Cosmology and Black Holes. In 2006 he established that all the physics we know today, as embodied in principle in the Standard Model of Particles and Forces and General Relativity, emerges from a new kind of gauge symmetric theory (in position-momentum phase space) based on a space-time of 4 space and 2 time dimensions. The physical gauge invariant sector, of this 4+2 dimensional reformulation of all physics, yields a holographic projection (like a shadow) onto a "boundary" of 4+2 dimensions. This boundary is an emergent space-time with 3 space and 1 time dimensions where we exist as observers that interpret all phenomena that occur within the 4+2 dimensional universe. This reformulation of physics predicts new correlations among physical phenomena that are not provided by the traditional 1 time formalism and therefore yields new information that was not available before. An important prediction of this approach is that the Standard Model coupled to General Relativity must be invariant under local scaling transformations in 3+1 dimensions. This local Weyl symmetry in turn provides new tools to investigate new features of 3+1 dimensional space-time in the very early cosmological history of the universe and in the interior of black holes. Dr. Michael Syphers is the Research Professor, Department of Physics, Northern Illinois University, DeKalb, IL , USA . Professor of Physics, NSCL and Department of Physics and Astronomy, Michigan State University, East Lansing, MI 2010-2015 Scientist, Accelerator Division, Fermilab, Batavia, IL 1985-89; 98-2010. NSCL has a long history of innovative advancements in accelerator science for use in nuclear physics. The latest in this line will be the Facility for Rare Isotope Beams (FRIB), presently in its early development, and scheduled to come on-line later this decade. Toward the goal of efficient acceleration of high intensity particle beams, at FRIB and other facilities as well, the Accelerator Science faculty at NSCL pursue studies in superconducting radio frequency accelerating devices, intense ion sources, high-efficiency large-scale cryogenic systems, beam instrumentation and diagnostics, and fundamental particle beam dynamics. Along with having major responsibilities for the specification of the FRIB accelerator design and oversight of its implementation, the faculty works with graduate students and post-docs on topics of academic interest in the accelerator field as well as the teaching of world-class courses in accelerator physics and engineering. The U.S. Department of Energy and the National Science Foundation have appointed Michael Syphers, a senior research professor of physics at NIU, to serve as a member of the national High Energy Physics Advisory Panel (HEPAP). Dr. Tsuruta is a Professor of Physics in Montana State University. She is involved with the astrophysics research group in various theoretical problems of high energy, plasma, relativistic, particle and nuclear astrophysics, with particular emphasis on studies of dense matter in neutron stars and ultrahot plasmas around supermassive black holes. Professor Tsuruta's current research includes detailed calculations of neutron star cooling and heating with superfluid particles, pion and kaon condensates, quarks, and strong magnetic fields; implications of the results of these calculations to the problem of detectability of these stars; and construction of viable models of a central power house in active galactic nuclei (AGN). This central engine is considered to be responsible for the enormous amount of energy produced in quasars and strong radio galaxies. Steven Weinberg is a professor of physics and astronomy at the University of Texas at Austin. His research on elementary particle physics and cosmology has been honored with the Nobel Prize in Physics, the National Medal of Science, the Benjamin Franklin Medal of the American Philosophical Society, the Dannie Heinemann Prize for Mathematical Physics, and numerous other awards. He has been elected to the National Academy of Science and Britain's Royal Society and other academies, and holds sixteen honorary doctoral degrees. He has written over 300 scientific articles, and six treatises on general relativity, quantum field theory, cosmology, and quantum mechanics. Among his books for general readers are Dreams of a Final Theory and The First Three Minutes, and two collections of published essays, Facing Up: Science and its Cultural Adversaries, and Lake Views: This World and the Universe. Many of these essays first appeared in The New York Review of Books. For this writing, he has received the Lewis Thomas Award for the Scientist as Poet and other awards. His latest book, To Explain the World: The Discovery of Modern Science, was published in 2015. Educated at Cornell, Copenhagen, and Princeton, he taught at Columbia, Berkeley, M.I.T. and Harvard, where he was Higgins Professor of Physics, before coming to Texas in 1982.
particle physics, quantum field theory, gravity, supersymmetry, superstrings and cosmology. After graduating from the Bronx High School of Science, in New York City, Professor Golub received the BscEE degree from The City College in 1959. He then went to MIT where he received the MscEE degree in 1961 and the PhD (Physics) degree in 1968. During his period at MIT he was supported by an NSF fellowship and then by an industry funded fellowship. His thesis work, concerned with decelerating Ammonia molecules in order to increase the interaction time was carried out in the Atomic Beam Laboratory of Profs. J R Zacharias and JG King. From 1967-68 he was an instructor at Brandeis University where he worked in the atomic beam laboratory of Edgar Lipworth working on problems concerning the interaction of atoms with e-m fields. In Sept. 1968 he moved to the molecular beam lab of K F Smith at the University of Sussex, England, where he was introduced to neutron physics, in particular the search for an electric dipole moment (EDM) of the neutron. His interest in Ultra Cold Neurons (UCN) was stimulated by the desire to improve the sensitivity of edm searches and it was while he was at Sussex that he co-invented a new class of non-thermal equilibrium UCN sources ('superthermal sources'). During this period he helped initiate the UCN program at the then new Intitut Laue Langevin (ILL) in Grenoble, France and designed the first UCN edm experiment to be carried out at that institute. In 1980 he moved to the Technical University Munich (T. U. M.), in Germany and continued his work at ILL where he constructed the first superthermal UCN source based on superfluid He4 and invented a new kind of neutron scattering method to study properties of the superfluid. During this time he co-invented a new kind of neutron scattering instrument using cold neutrons (Neutron Resonance Spin Echo). There are currently 5 or 6 instruments around the world based on this principle. From 1985-86 he was at the Max Planck Institute for Physics in Munich where he worked on detection of solar neutrinos and dark matter returning to the T. U. M. in 1986. In 1991 he moved to the Technical University of Berlin and the Hahn Meitner Institute (HMI) where he built a cold neutron beam for fundamental physics that was used for several experiments studying symmetry violation in the weak interaction and fission. He developed the basic ideas for the current edm search being carried out by a collaboration led by LANL, doing some basic investigations of the properties of Helium 4 as a scintillator for neutron detection and worked on an NRSE instrument that was installed at HMI. Andrew Bacher has completed his PhD at the age of 29 years from the California Institute of Technology and NSF-sponsored postdoctoral studies at Lawrence Berkeley Laboratory. He is the a Profssor of Physics (emeritus) at Indiana University. He has published more than 300 papers in refereed journals and has served on program committees at the Los Alamos Meson Facility, the MIT-Bates Electron Scattering Facility and the TRIUMF Meson Faciltiy in Vancouver, British Columbia, Canada. Akio Kawauchi has completed his PhD at the age of 28 years from Osaka City University. After working as an assistant, an associate and a full professors of Osaka City University & a director of Osaka City University Advanced Mathematical Institute, he is currently a specially appointed professor & a honorary professor of Osaka City University as well as a honorary director of Osaka City University Advanced Mathematical Institute. In 1978-1980, he was a member of Institute for Advanced Study, Princeton N.J. USA. He has published more than 100 papers or books and is the author of the book “A Survey of Knot Theory”, Birkhäuser, Basel-Boston-Berlin, (1996). Professor Ghassan Halasa retired from University of Jordan as professor of electrical engineering. His early education was in physics. Dr Halasa is a Fulbright Scholar at Murray State University in 2004; and a visiting professor at Western Michigan University in 2008. Most of his recent published work was in electrical engineering in the field of renewable energy. Recently, he published a book as an alternative to the big bang theory. 1989.09.01-1991.06.30: Institute of High Energy Physics, Chinese Academy. PhD in Physics in June 1994 – Experimental particle physics. Thesis: Tau decay into three pseudo-scalars and upper limit of tau neutrino mass. 1991.09.01-1994.06.30:Institute of High Energy Physics, Chinese Academy. MSc in Physics in June 1991– Experimental particle physics. Thesis: Spin-parity analysis of J/®wf2(1270) using the BES detector. 1988.09.01-1988.06.30:Department of Physics, Nanning, Guangxi province, P.C. China. BSc in Physics in June 1988. Thesis: Simulation of neutron resonance absorption in media. Experimental neutrino phyiscs and search for new phyiscs beyond the Standard Model is a very important research direction in particle physics and nuclear phyiscs. I am interested the following fields: (1) Detection of Supernova neutrion and cross-sections of low energy neutrino interaction. (2) Determination of neutrino mixing angles. (3) Neutrino oscillation study using long base line accelator neutrino. (4) Search for CP violation and evidence of new phyiscs beyond the Standard Model using rare kaon decay. (5) Determination of strange quark mass and Vus in CKM matrix using the strangeness tau lepton decay. Antona Lipovka has his expertise in astrophysics, cosmology, molecular spectroscopy, theoretical physics and solid state physics as well. Since 2013 he is working on the fundamentals of quantum physics, and the union of gravity with quantum theory. Samuel Chao Chung Ting is an American physicist who received the Nobel Prize in 1976, with Burton Richter, for discovering the subatomic J/ψ particle. Edwin Zong has completed his Medical Degree from Shanghai University of Chinese Medicine and New York College of Osteopathic Medicine. He is the Medical director of Oasis Medical Group Inc. and Laser Neutrino Annihilation Synergistic Applicator LLC, He has published more than 20 papers in reputed journals. John Morrison received his PhD in physics from Johns Hopkins University. After working as a research associate at the Argonne laboratory, he moved to Sweden where he received a grant from the Swedish Research Council to build up a research group in theoretical atomic physics at Chalmers University of Technology in Goteborg, Sweden. His work to build a research group in Sweden led to the publication of the monograph , “Atomic Many-body Theory”, which originally appeared as Volume 13 of the Springer Series on Chemical Physics. The second edition of this book has become a Springer classic. 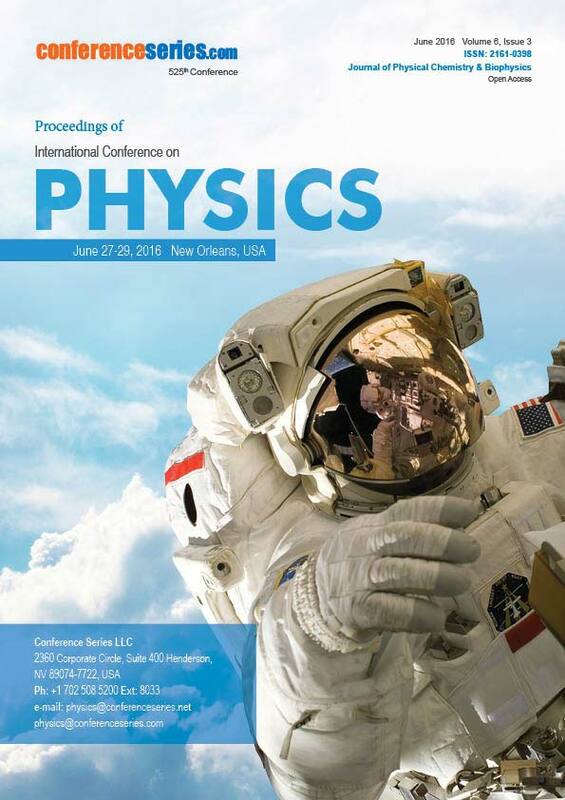 He continues to carry on research in atomic and molecular physics at University of Louisville and has recently published a textbook “Modern Physics for Scientists and Engineers” (Elsevier, 2nd Edition 2015) which provides an overview of contemporary physics. Robert Zurmuhle obtained his PhD in 1960 from the University of Zürich, Switzerland. He left Zürich in 1961 for the University of Pennsylvania, initially for a two year stint in postdoctoral studies, then in 1963 he accepted Penn's offer to remain there as professor until 1997 when he retired. He now lives in Lucerne, Switzerland. He has published around 150 papers covering a wide range of topics in nuclear physics including gamma-ray capture reactions, particle gamma-ray double and triple angular correlation studies with light and heavy ions, accelerator mass spectroscopy and also on innovative developments of nuclear instrumention in reputed journals. Sasha Buchman graduated with a PhD in physics from Harvard University. As a Research Associate at MIT he worked on spin polarized hydrogen and deuterium in both gas and surface films. After joining the GP-B group he led the development of the gyroscopes and led the hardware development and overall program. Interests include the science and technology of the Laser Interferometer Space Antenna (LISA) and the program of fundamental science on small satellites (STAR). Bing Wang has completed his PhD at the age of 28 years from Tsinghua University and visiting research from Technological University of Munich as a Humboldt Fellow. He is the vice deputy director of School of Aerospace Engineering Tsinghua University. He has published more than 40 papers in reputed journals and has been serving as an editorial board member of Journal of Engineering. Energy and environment science and physics related researches. Prof. Bernard H. Foing is the Elected Chair of ESA ESTEC Staff Association Committee (representing 1400 colleagues), and Senior Scientist and Exploration Officer at ESTEC. He is Executive Director, International Lunar Exploration Working Group (ILEWG). He has a Research Habilitation and a PhD in Astrophysics and Space Techniques (sounding rocket experiment in France CNRS and US New Mexico, Boulder, Harvard). He graduated from Ecole Normale Supérieure ENSET and was admitted as Agrégé Professor of Physics, He joined CNRS and worked 3 years with ESO European Southern Observatory and French embassy in Chile. He has worked at ESA as visiting scientist, staff scientist, Head of Research Division, Chief scientist, in ESA Space Science Department. He has been Co-investigator of space missions instruments such as TRC, SOHO, XMM, Mars-Express, COROT, BIOPAN, Expose/ISS, ExoMars. He is the Project scientist, father of SMART-1 first European mission to the Moon, from conception in 1996 to lunar final impact in 2006. He has led studies of lunar orbiters and landers, and technology developments. With ILEWG, he has been promoting international collaborative projects, the preparation for a global robotic village, and a human base. He is a full member of International Academy of Astronautics, Special Professor at VU Amsterdam, Distinguished Research Professor at Florida Tech. Space scientist in astrophysics, astrobiology, lunar and planetary exploration, he authored or co-authored more than 200 refereed papers and other 450 publications, and edited 16 books. Tsuruta earned her bachelor’s degree from the University of Washington and her master’s and doctoral degrees from Columbia University. She then worked for the Smithsonian and Harvard Observatory, now the Harvard Center for Astrophysics. She also became an outside adviser to NASA. For several years, she commuted between MSU and Germany, working half a year at MSU and half a year at the Max Planck Institute in Munich. She started working full-time at MSU in 1989. In 1985 he graduated from the Petrozavodsk State University. Civil engineer. Pensioner. He has published 9 articles. Celestial bodies, Aerospace, Astrophysics, Astronomy, celestial objects, Astronomical objects. Lukasz Andrzej Glinka, born 5 October 1984 in Poland, is an active non-fiction writer whose books are dedicated to both science and humanities, author for a number of scientific and research papers in theoretical cosmology and physics, and editor at international science journals. He began in 2006 by a research work at the Joint Institute for Nuclear Research, Dubna, Russia, and got the Bachelor of Science degree in physics in 2010 at the Peoples’ Friendship University of Russia, Moscow, Russia. His biography has been published by the Marquis Who’s Who (Science and Engineering 2011-2012, World 2014), and he holds a membership of the American Association of International Researchers, the publishing group within the American Research Institute for Policy Development, New York, United States.